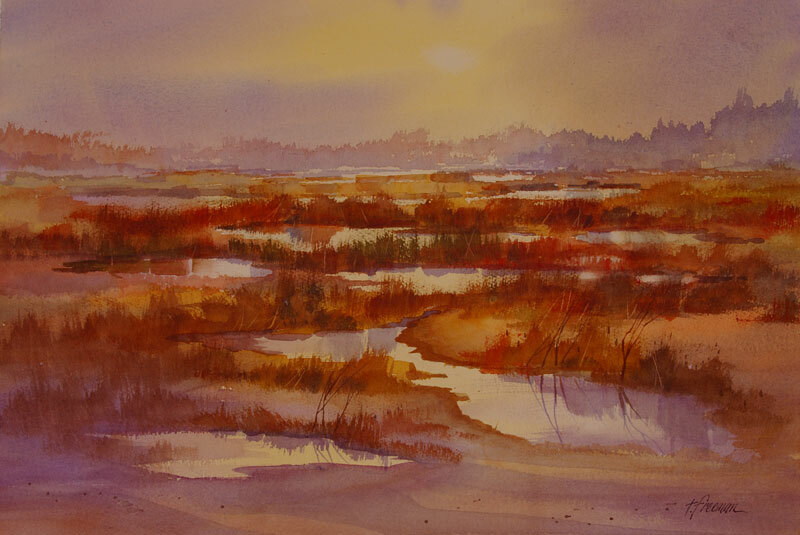 Thomas Freeman Original Watercolor Painting: "Salt Marsh Morning"
Pescadero Marsh is right off Highway 1 but entering it is like stepping into a wildlife refuge. The marsh is always teeming with birds - it's one of my favorite spots. The scene is early morning here, and the fog is just burning off. I used shadows in the foreground to balance the blues in the distant background.